Sintez-CIP Ltd. is a manufacturer and supplier of Carbonyl Iron Powder with sales in over 20 countries worldwide. Our product ranges serve various industry fields, such as automotive, appliances, electronics, civil construction and quarrying, food and pharmaceuticals. Carbonyl Iron Powder is grandly employed in such advanced technologies and processes as metal injection molding, diamond tools production, electromagnetic components and inteference shielding materials, magnetorheological fluids, artificial diamond synthesis and conventional press and sinter. We are dedicated to constant development and on-spec delivery through a total quality system. Thereby Sintez-CIP is ISO 9001:2008 certified. Our network of agents and distributors, as well as direct supply capabilities offers availabilty of our product in North and South Americas, Western and Eastern Europe, and South-East Asia. 2005 – Carbonyl Iron Powder division forms an independent organization Sintez-RusMIM Ltd.
2008 – the company gets renamed into Sintez-CIP Ltd.
2008 – Sintez-CIP integrates into a group of companies Sintez Powder Materials. 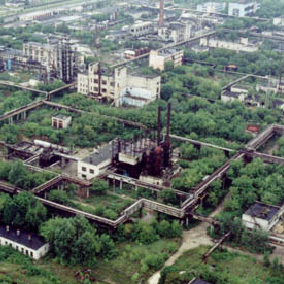 1 Vostochnoe shosse, Vostochny promrayon Sintez, Dzerzhinsk, Nizhny Novgorod region, Russia, 606000. Copyright © 2012-2019 «SINTEZ CIP» Ltd.